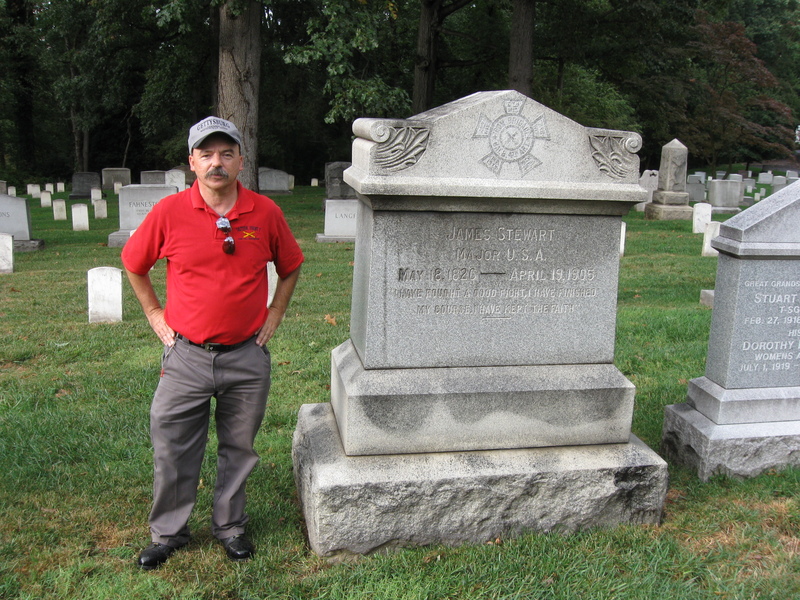 Gettysburg Licensed Battlefield Guide Rich Kohr is standing in Section 1 of Arlington National Cemetery. The grave of Rufus Ingalls, Chief Quartermaster of the Army of the Potomac during the Gettysburg Campaign, was one of the many Gettysburg related individuals that we stumbled across on our visit. This view was taken facing north at approximately 4:30 PM on Sunday, September 27, 2009. In today’s post we show the graves of Lieutenant James Stewart of Battery B, 4th U.S., Colonel William Dudley of the 19th Indiana Infantry, Sergeant Frederick Fuger of Cushing’s Battery, and Colonel John Ramsey of the 8th New Jersey Infantry. This map shows us the locations taken of videos for our Gettysburg at Arlington series. Videos #1-#12 were shown in our previous Arlington posts. Video #13 was taken at the grave of Lieutenant James Stewart. 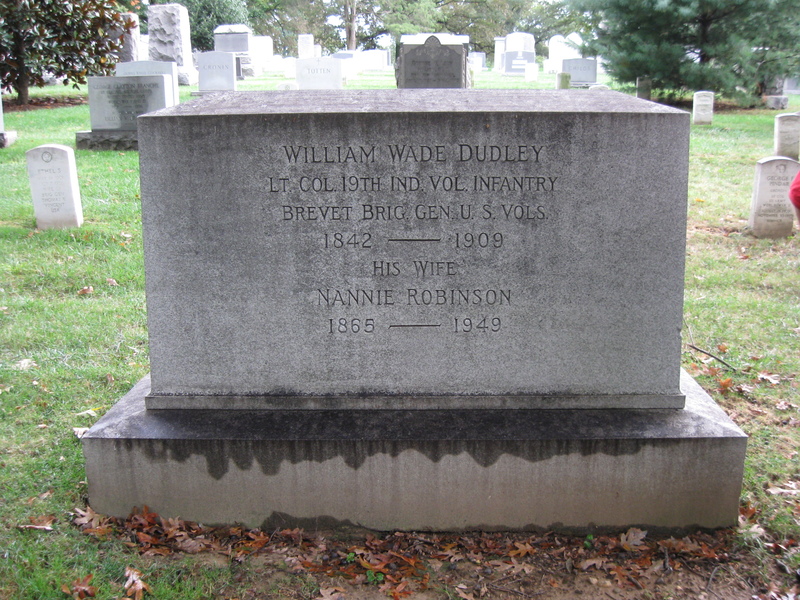 Video #14 was taken at the grave of Colonel William Dudley of the 19th Indiana Infantry Regiment (Iron Brigade). Video #15 was taken at the graves of Sergeant Frederick Fuger and Colonel John Ramsey. This map was created facing north at approximately 8:00 PM on Friday, October 9, 2009. While we were aimlessly wandering around Section 1 in Arlington Cemetery, we came across the grave of Private Robert G. Carter of the 22nd Massachusetts Infantry Regiment. This view was taken facing north at approximately 4:30 PM on Sunday, September 27, 2009. Private Carter fought with the 22nd Massachusetts in the Stony Hill/Wheatfield area on July 2, 1863. 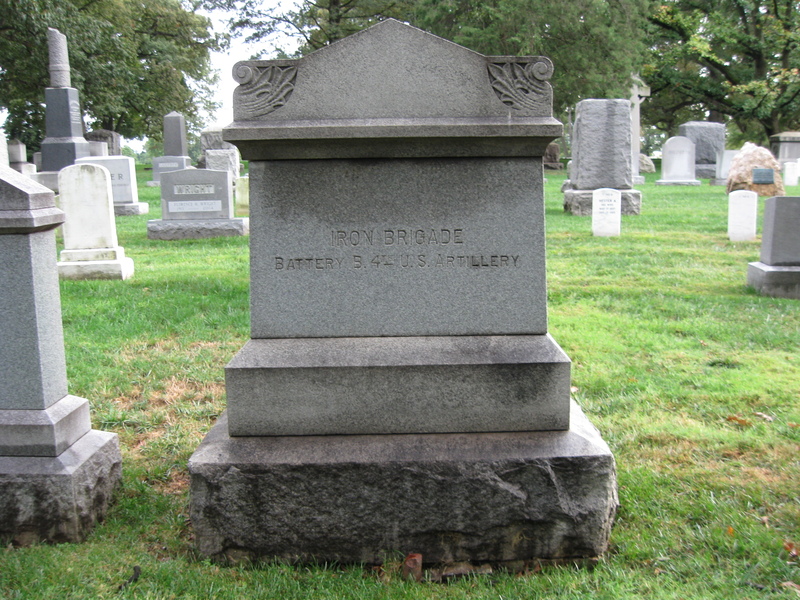 Following the Civil War, he attended West Point. He was awarded the Congressional Medal of Honor for his action in the Brazos River campaign in October, 1871. This view was taken facing north at approximately 4:30 PM on Sunday, September 27, 2009. 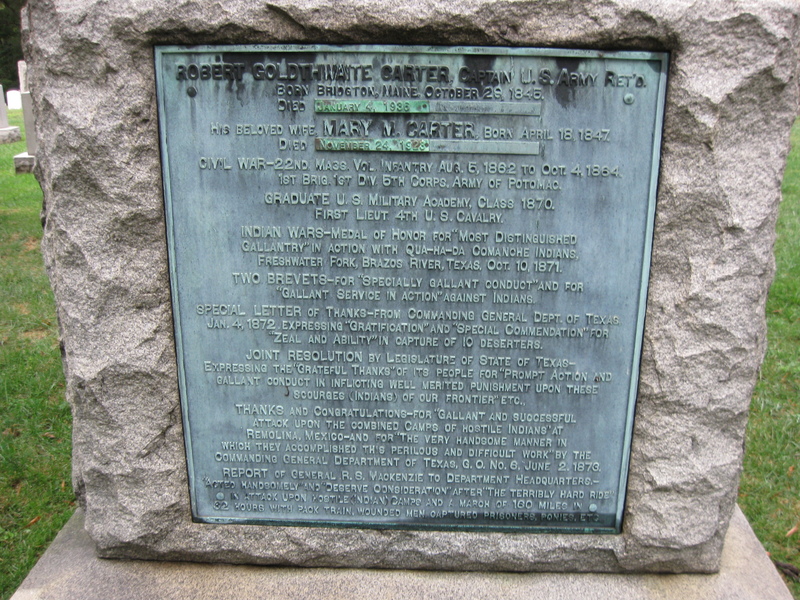 Lieutenant James Stewart commanded Battery B, 4th U.S. Artillery at the Battle of Gettysburg. This view was taken facing north at approximately 4:30 PM on Sunday, September 27, 2009. In Video #13 (Videos #1 – #12 were shown in our previous Arlington posts) Gettysburg Licensed Battlefield Guide Rich Kohr is standing near the monument to Lieutenant James Stewart of Battery B, 4th U.S. Artillery. This view was taken facing north at approximately 4:30 PM on Sunday, September 27, 2009. Battery B was the Iron Brigade’s Battery in 1862. Although first commanded by John Gibbon, it was known throughout most of the war as Stewart’s Battery. This view was taken facing south at approximately 4:30 PM on Sunday, September 27, 2009. Another member of the Iron Brigade is buried not too far from James Stewart. Colonel William Dudley of the 19th Indiana Infantry is near Arlington’s boundary with Fort Myers. This view was taken facing northwest at approximately 4:30 PM on Sunday, September 27, 2009. In Video #14 Licensed Battlefield Guide Rich Kohr is standing near the monument to Colonel William Dudley of the Iron Brigade’s 19th Indiana Infantry Regiment. This view was taken facing west to south at approximately 4:30 PM on Sunday, September 27, 2009. 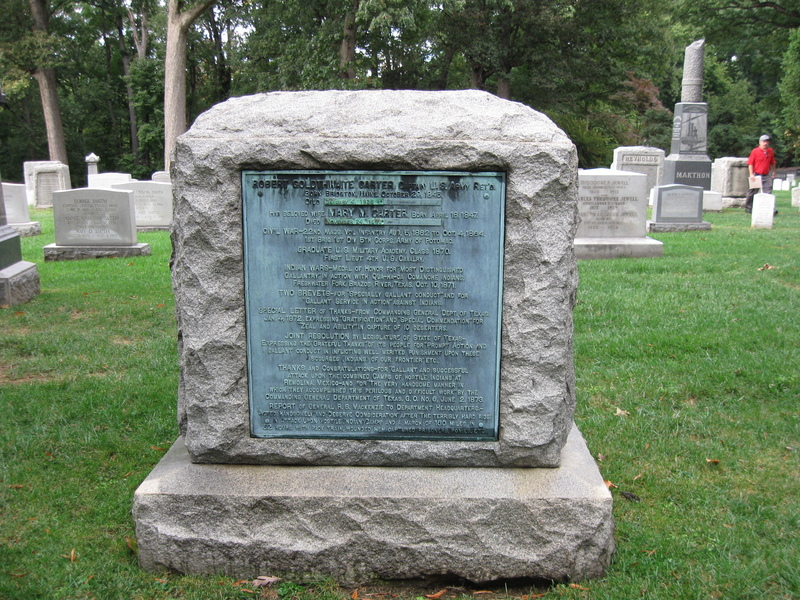 Dudley was wounded on July 1, 1863. His leg was amputated at White Run Church on the Baltimore Pike later that day. He later recovered at the home of Gettysburg Compiler Editor Henry J. Stahle. This view was taken facing south at approximately 4:30 PM on Sunday, September 27, 2009. 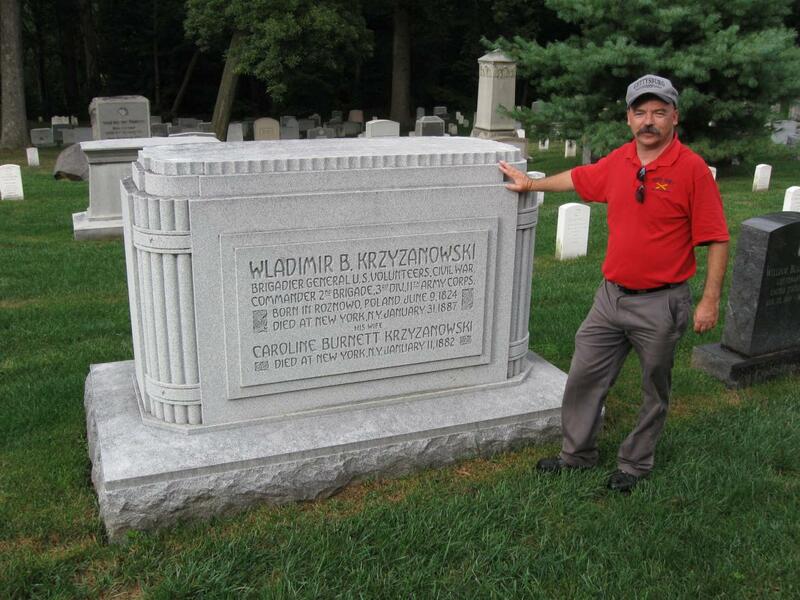 Eleventh Corps Brigade Commander Wladimir Krzyzanowski is buried approximately 50 yards south of Dudley. This view was taken facing northeast at approximately 4:30 PM on Sunday, September 27, 2009. 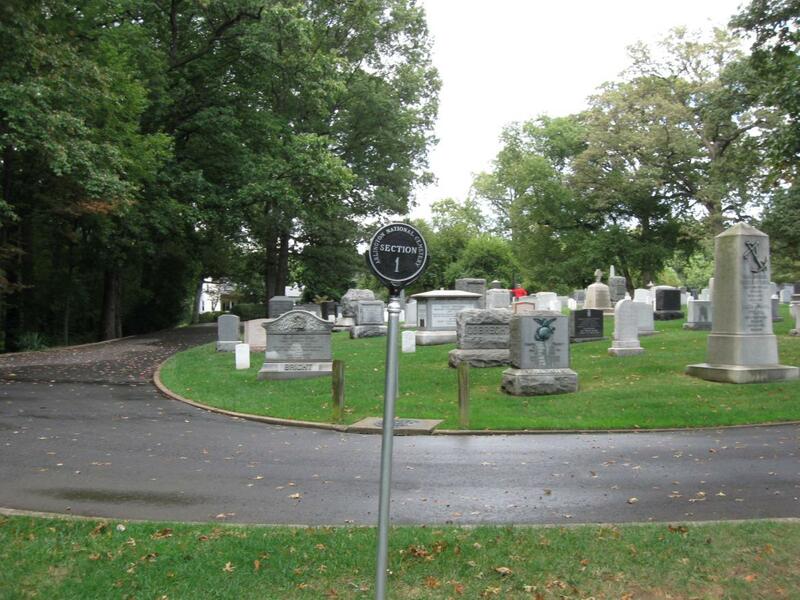 We’re finally leaving this part of Section 1 of Arlington Cemetery to cross Humphreys Avenue and go into another part of Section 1. Rich’s red shirt shows us the next grave… This view was taken facing northeast at approximately 4:30 PM on Sunday, September 27, 2009. 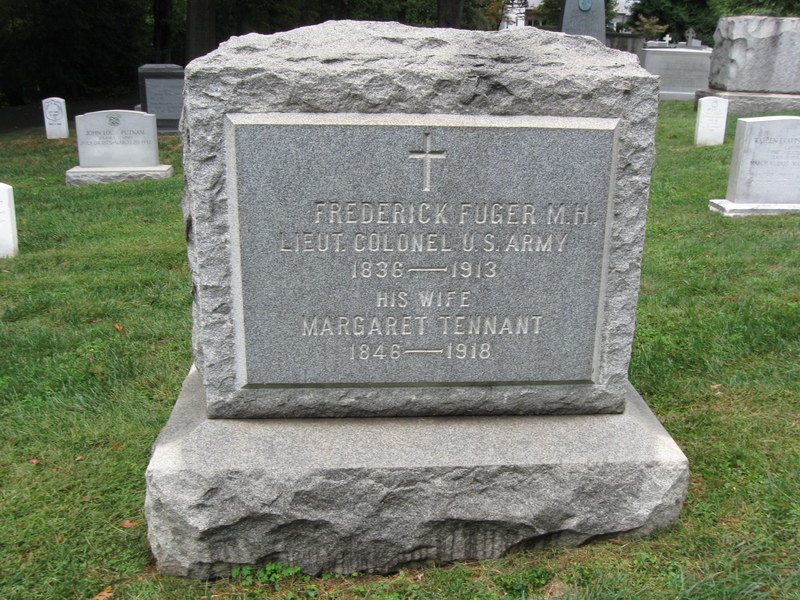 …Sergeant Frederick Fuger, a Congressional Medal of Honor recipient from Cushing’s Battery A, Fourth United States. This view was taken facing north at approximately 4:30 PM on Sunday, September 27, 2009. 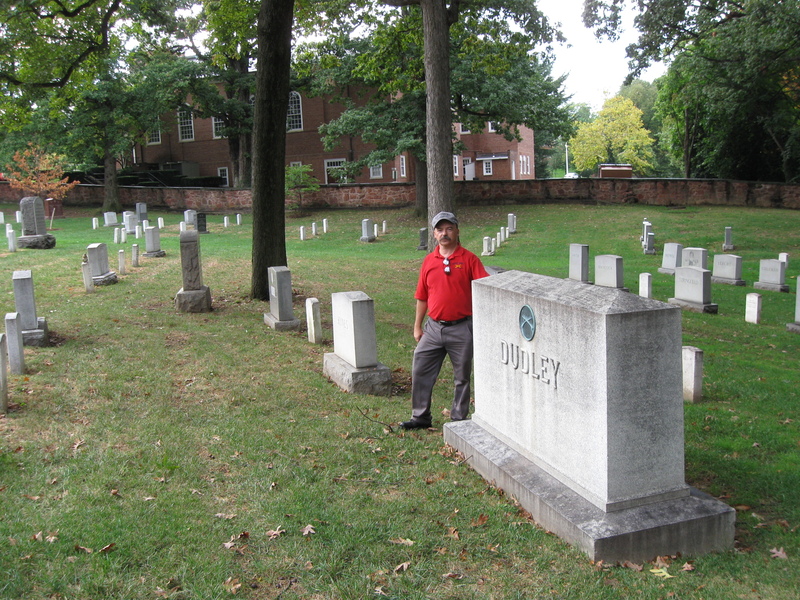 Close to Fuger’s grave is that of Colonel John Ramsey of the 8th New Jersey Infantry Regiment. The 8th New Jersey fought in the Wheatfield on July 2, 1863. This view was taken facing northwest at approximately 4:30 PM on Sunday, September 27, 2009. 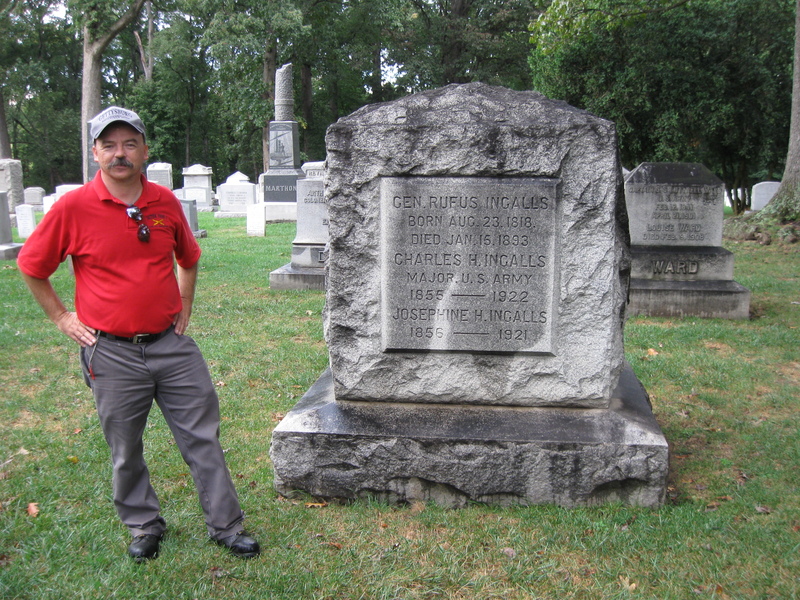 In Video #15 Rich Kohr is standing near the grave of Sergeant Frederick Fuger of Cushing’s Battery. 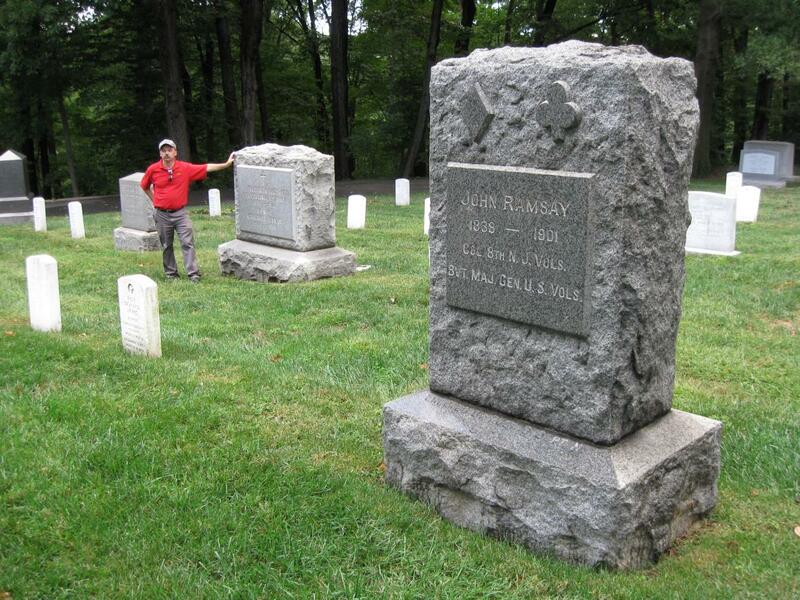 He also shows us the grave of Colonel John Ramsey of the 8th New Jersey. This view was taken facing north to northeast at approximately 4:30 PM on Sunday, September 27, 2009.